Ivy League’s Upper Elementary School offers a highly interactive and thought-provoking curriculum. To help students reach their highest potential, our faculty uses models of teaching drawn from cognitive brain research on how children learn best. Teachers stress higher order thinking skills and “habits of mind” which are the foundation of abstract thinking, imagination and judgment. A well-rounded program encourages students to persevere in academic tasks, creative expression and personal growth. Academic work at this level gradually becomes more challenging requiring students to develop good study habits, organizational skills and manage time effectively as they may be dealing with multiple assignments. During this period, and at varying rates, students move from being concrete thinkers toward understanding more abstract ideas. Courses of study within each grade are adjusted to reflect the world’s ever changing events, discoveries in science and pedagogical advances. This flexibility allows Ivy League School to deliver a comprehensive educational experience which exceeds all local and national educational standards. 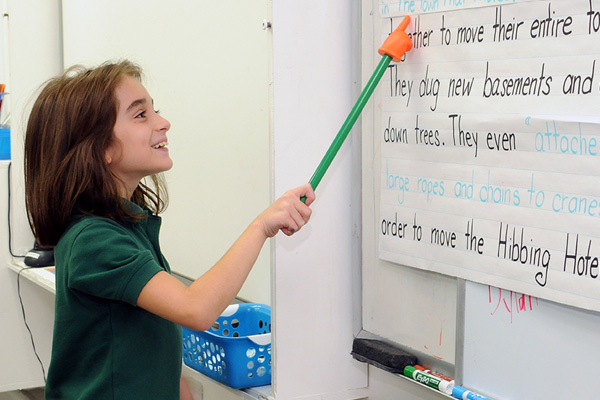 Ivy League’s innovative Language Arts and Literacy program applies both traditional and contemporary teaching approaches in order to develop highly proficient readers and writers. Reading, writing, speaking and listening and how each of these tools is essential to the learning of all other subjects, is reinforced in grades 3 and 4. 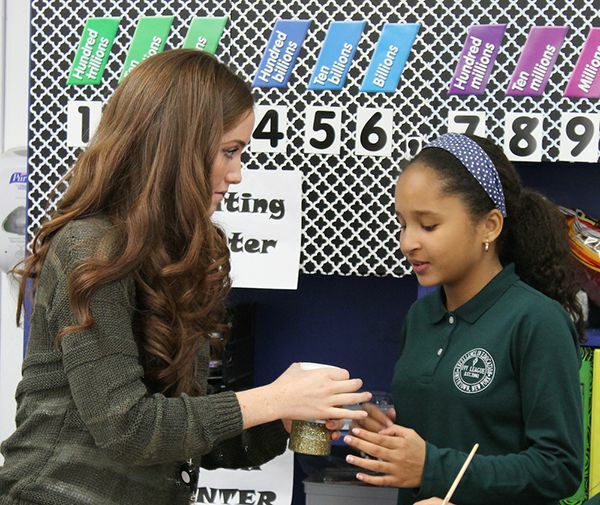 Each class participates in substantive lessons, where students are guided and taught the important skills such as critical thinking, vocabulary development and grammar. Exposure to a vast range of literature – from fables and fiction to non-fiction and poetry – helps students understand and appreciate different writing genres and use them in their own writing. Students are taught the mechanics and conventions of writing and how to revise and edit their work, so they become true authors. The Mathematics program at Ivy League is much more than simply numbers and equations. Our mathematical instruction across grade levels provides students with the confidence and ability to use learned concepts to help solve problems at school and outside of the classroom. Individualized for each student, the Mathematics program is adjusted for students requiring more experiences, as well as for students possessing special math talents. Students strive to develop basic mastery in foundational skills and improve their understanding of fractions, decimals, percent, and geometry. Students are also taught how to successfully study math. The focus of Ivy League’s Social Studies program is to have the people and events which have shaped our history, come alive. With the benefit of SMART Board® technology and field trips to historical sites, students discover how the past has influenced current events and how the combination of both will continue to affect the world’s future. In order to gain an appreciation of our nation’s values and principles, everything from Family, Community Life and Citizenship to U.S. History, Geography and Global Challenges, help to expand our students’ knowledge base. Higher order thinking skills are developed through lessons about different people, states, places, and cultures from around the world; instruction through primary source materials, such as photographs, field trips, art, literature and original documents; gathering, interpreting, organizing and analyzing data for research projects that help students think independently; and extensive application of thinking skills to help learn, understand and utilize these concepts within the real world. To learn the nature of science, one must think like a scientist. At Ivy League, our Science program not only teaches students the principles of science, but also encourages the curiosity, skepticism and open-mindedness necessary for appreciating and expanding on these principles. Students learn to ask “why” and are taught process skills such as classification, model creation, measurement, observation, inference, and prediction to find the answer. From their immediate environment to the vast universe around them, students are brought into the world of science through learning about past and current inventors and scientists whose contributions have helped shape the world in which we live. Upper Elementary Science topics include Matter and Energy, Motion and Force, Metamorphoses, the Earth and its properties, Atmosphere and Weather, and the Life Cycle of Plants and Animals. Students are given direct access to the natural environment of Ivy League’s expansive wooded campus and wetlands, gaining a deeper understanding of how the world of living and non-living things interact. Ivy League is well known for its academic rigor and high expectations for student achievement and behavior. 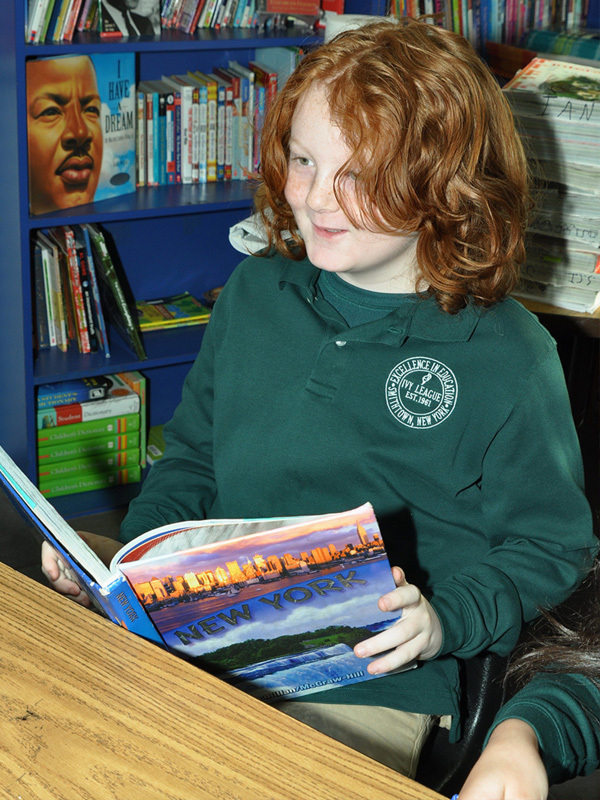 Our school relies on multiple measures to obtain a well-rounded view of what students know and are able to accomplish. Assessment results determine individual student’s progress as well as the efficacy of our instructional programs. Teachers keep a portfolio of student’s work to demonstrate progress over time. Assessment tools such as quizzes, projects and research papers are used to determine students’ understanding of the material rather than just to generate a numerical score. Ivy League does not use valuable instructional time for test preparation nor does Ivy League subscribe to the New York State Common Core Testing Program. However, a standardized achievement test is administered at the end of 3rd and 5th grades to strategically plan for instruction in subsequent grades. Parent teacher conferences are held twice a year and upon request. Report cards are issued three or four times a year depending on the grade.